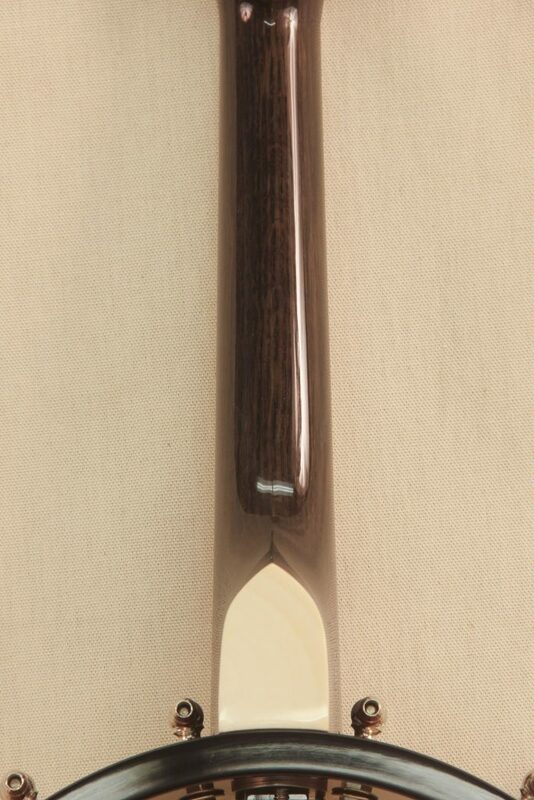 This banjolin was custom made for my friend Steve Norse who owns and runs Vermont Freehand/Pimo Pipecraft. 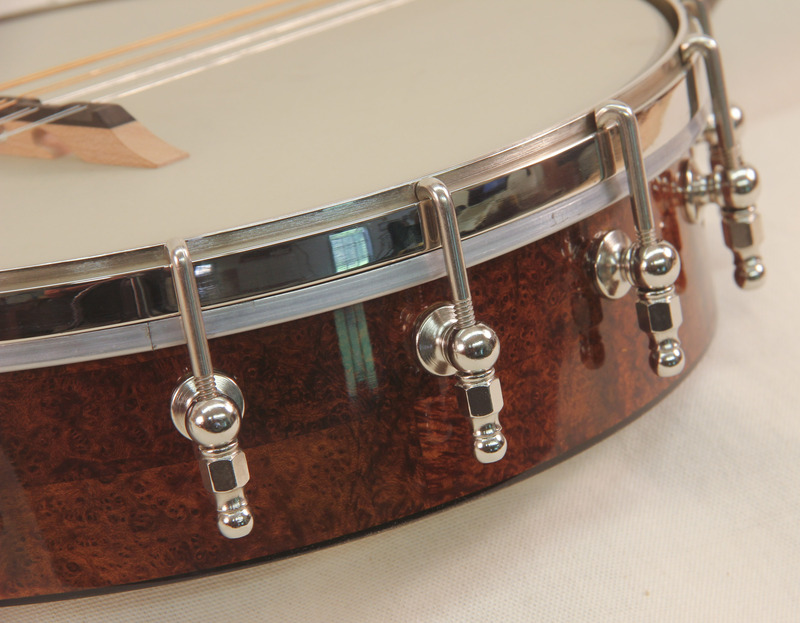 We chose to make as many pieces as possible from the pipe making supplies that he sells. 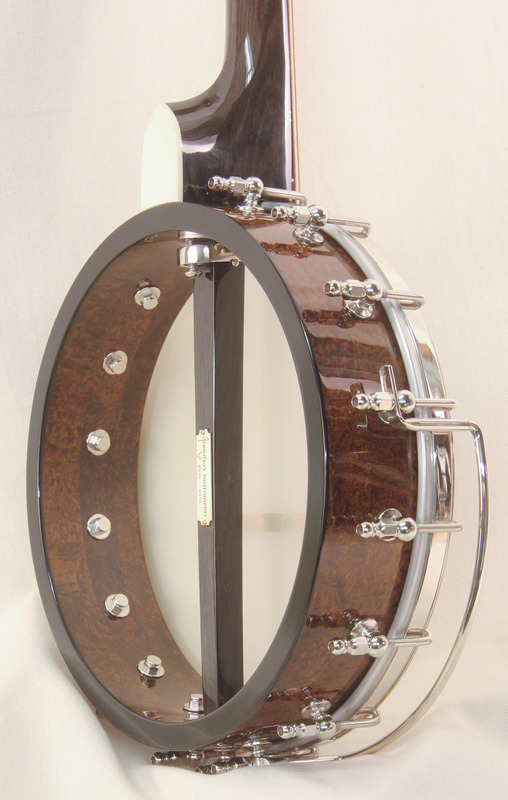 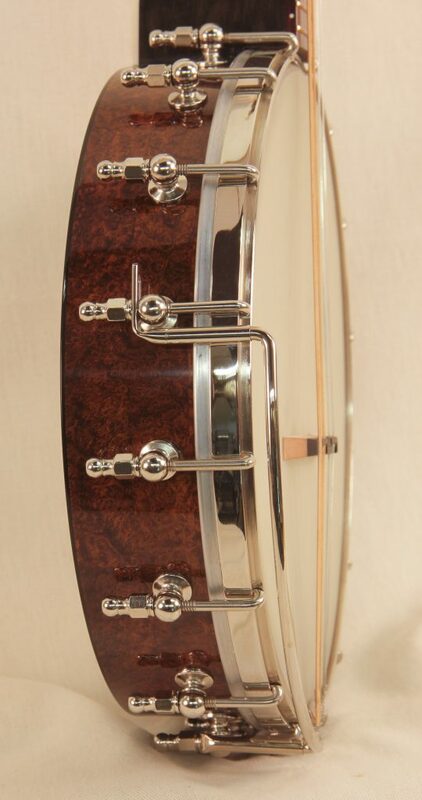 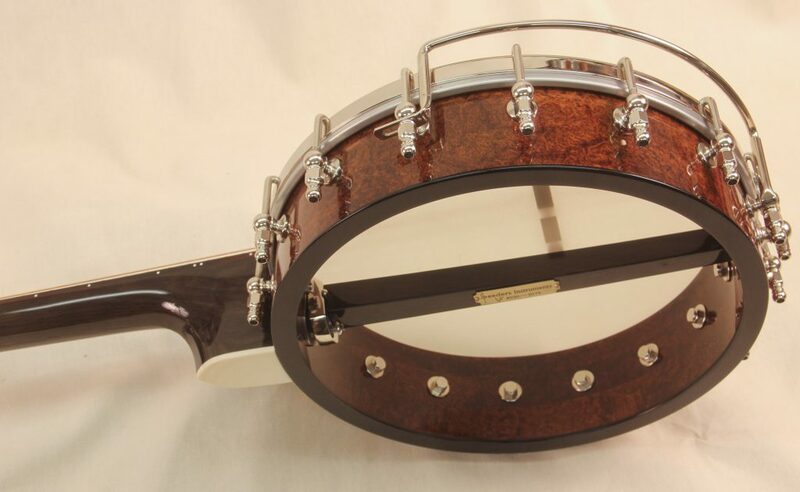 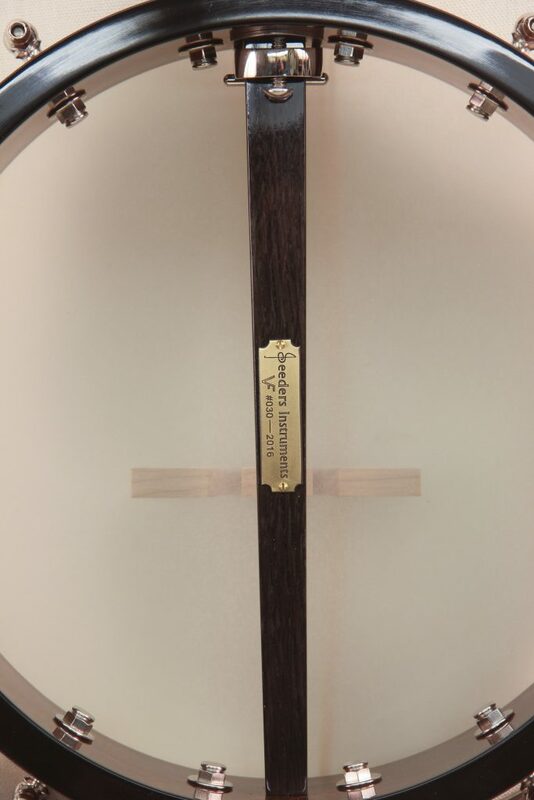 The rim is Italian Briar with an Ebonite rim cap. 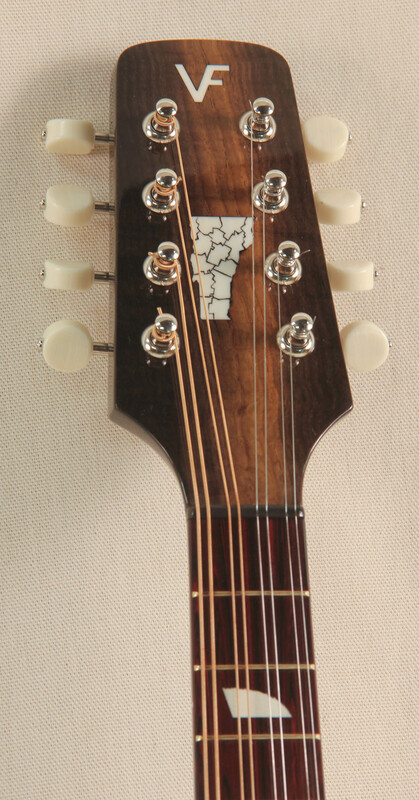 The neck and peghead overlay is Morta, a Ukranian bog oak that turns black because of the trees were submerged in bogs for many thousands of years with exposure to acidic waters and lack of oxygen. It’s carbon dated to approximately 5500-5600 years old. 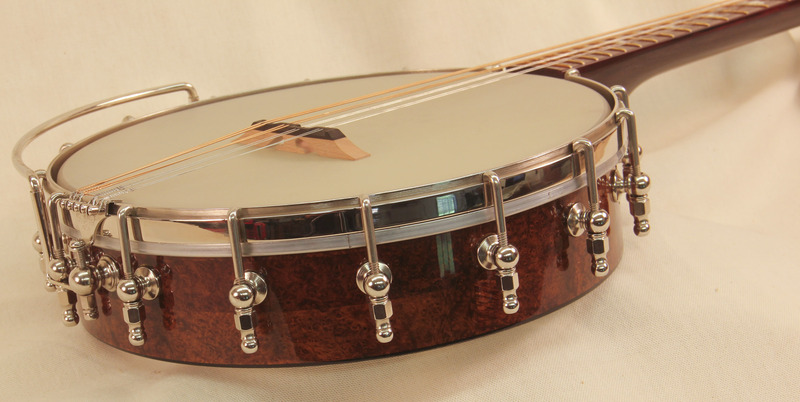 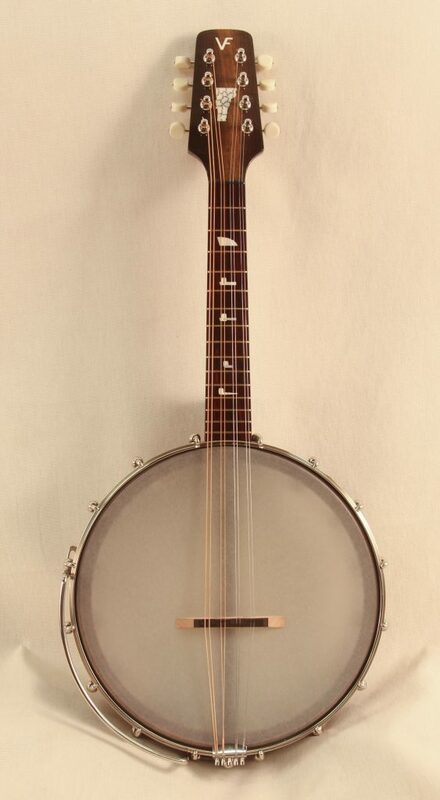 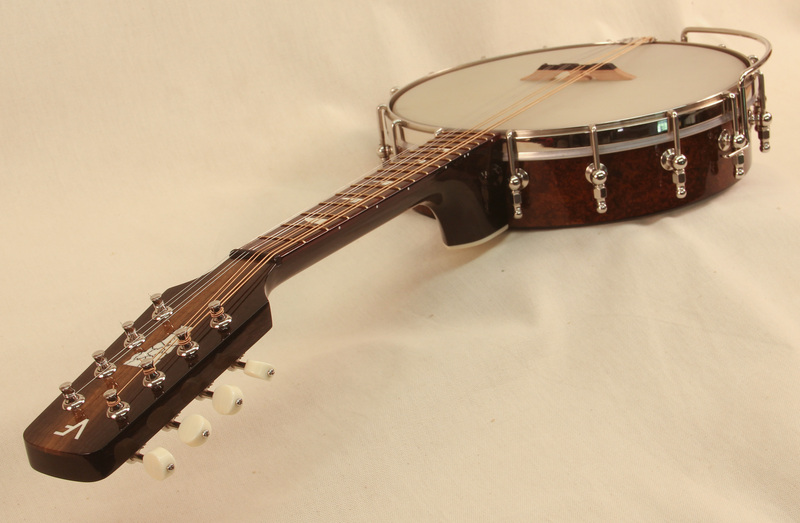 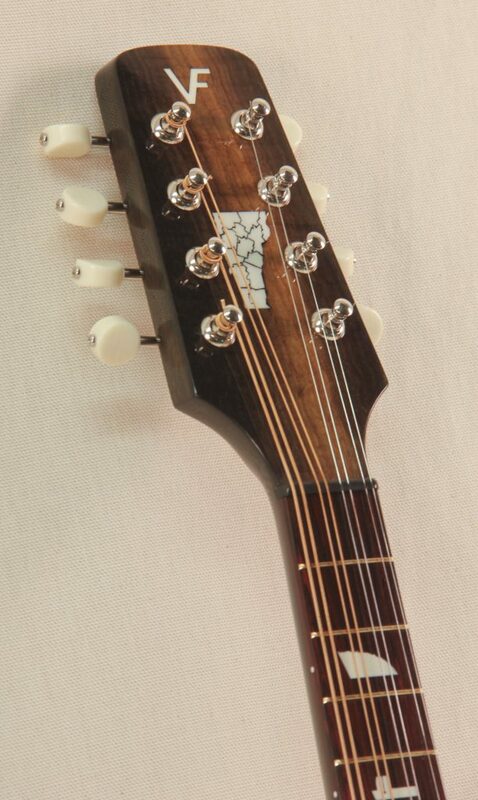 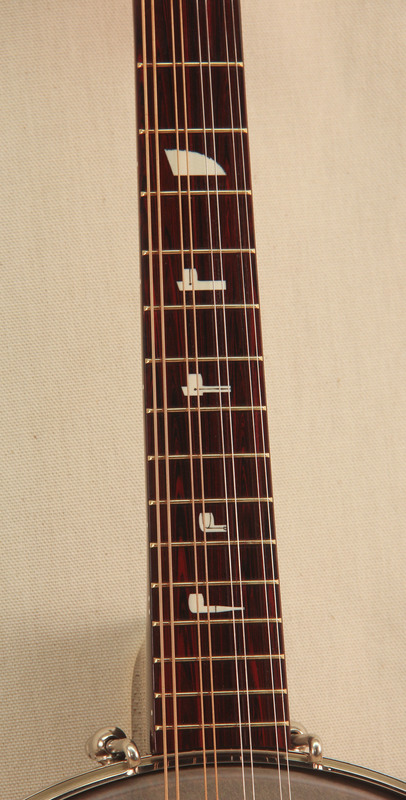 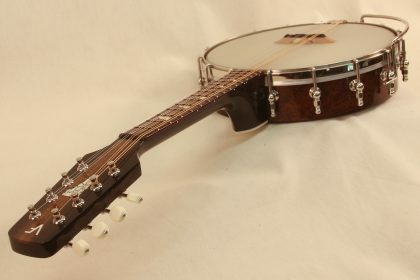 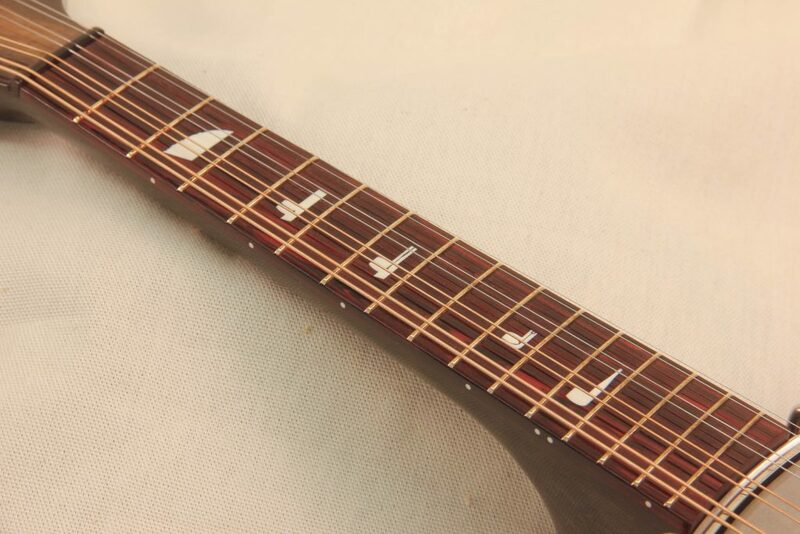 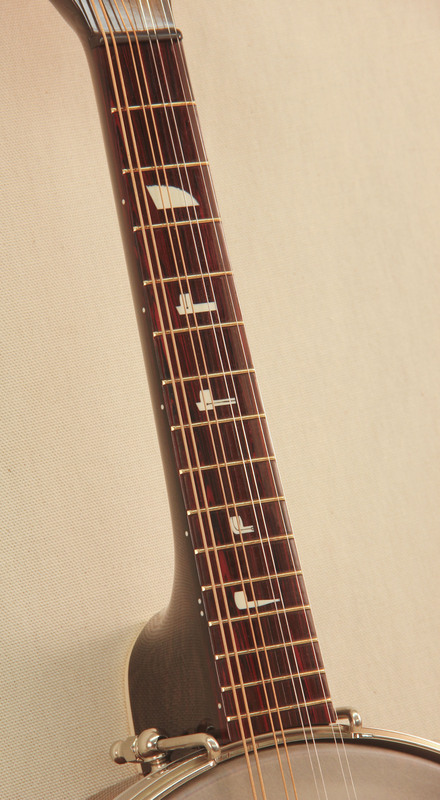 The fretboard is made from Cumberland, a vulcanized rubber that is used for stems of pipes. 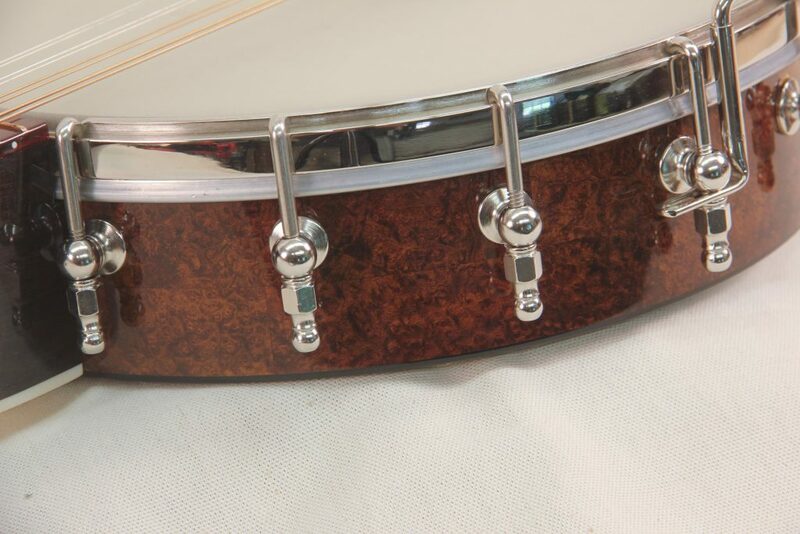 The inlays and heelcap are pre-ban salvaged ivory.